Joe Senser's on Friday - Bloomington MN Roll Call! I will try and make it over. Have not been t here to watch a game in a while. If the new nickname ends up Sundogs I will be in the bathroom vomiting for days and then I am not sure what I will do, but that is by far the dumbest name I have ever heard! When we did the customization of my sons jersey at The Ralph they said he had an "A" and put one on his jersey. Not sure if they were right but it looks good. IT was not white balanced properly, therefor it had bad color. It was just not well done. I watched the webcast and the HD web cameras they used appeared to me to be remote controlled which would cause the shakiness, but they announcer was awful. I about died laughing when every save made by McKay was an awesome save and it was right into his chest and no effort was made to really make the stop. The other thing that bothered me is when this announcer who I am sure feels he is the next Bob Costas stated that "Miami really exposed UND tonight". What is he talking about, just made me laugh the rest of the game. North Dakota @ Mankato - who wins the cup?? Yes I will be there both nights. Friday night by myself and then saturday the family willbe with me. Bought my son a new Sioux jersey for the weekend. He would love to meet Kristo. He loves the guy. Does anybody have a link to the senior skate? The webcast was not watchable so I missed it. Thanks. 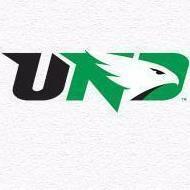 Go Sioux. The one thing about this production that is so awesome that I have not seen mentioned is the music. It fits so perfect and really makes a person connect with the topic. That opening music just makes the whole thing for me. Awesome job! Thanks Seniors, now lets go get #8! So my first reaction to these kids was if they are seniors they do not need to worry about participating in graduation and they should be suspended. But if they are freshman. I am not sure what you can do with them where it would really make a huge difference except for expulsion from school for the remainder of the year. Let their parents figure it out. They should not be allowed to enroll in any public school for the remainder of the year. Just my opinion. These incident just re-inforces people's stereotypes of North Dakota and that is not a good thing. I know my punishment might seem extreme but they need to learn and a one or two day suspension is nothing. They would not learn a damn thing from that.